In our last newsletter we ran a competition to win a Winter Wellness pack. To enter we asked newsletter subscribers for their tips for staying healthy during the colder months. Here are the fabulous entries we received starting with our winner Michaela Dabson’s ode to winter wellness and finishing with a spicy recipe for Sarah de Graaf’s Hot Devil Drink. Epsom salt baths with 2tsp of bicarb soda added for efficacy. Flubru – boil up garlic, fresh chilli, cloves, cinnamon stick, cardamon, ginger root, teaspoon of fenugreek seeds till soft. Strain, Add lemon and zest, favorite honey (and a tot of whisky?). This tried and tested remedy for the winter flu blues can blow your socks off or gently soothe, depending on the proportions. It goes very well with a log fire, a comfy cushion and a book. May it bring comfort, leading to wellness. Fresh ginger and turmeric with your breakfast yoghurt and in “Golden Milk” before bed time. Recipe: turmeric, ginger, cloves, star anise, cardamom, cinnamon & honey simmered in almond milk. Strain before drinking! Stay active. Walk each day – even if it’s cold. Get some sun as well. Grab a friend to make it more fun. Staying connected helps beat the winter blues. Keep your digestive fire alive with warm meals, nourishing teas and fresh soft homemade produce! Organic porridge with cinnamon, fresh vegetable congee and hearty coconut cream pumpkin soups! Keep friends close! Connect with friends over organic chai, hot cocoa and organic coffee pots! Social connection lifts the spirit and fuels the soul with positive vibes. Prioritising gut health in winter is an effective way to avoid the flu and getting run down. To make your own; all you need is shredded cabbage, carrot, ginger, turmeric and salt. My tip is homemade chicken soup filled with delicious vegetables and noodles, followed by stewed pears with cinnamon and brown sugar. The way to fight colds is to boost yourself beforehand. A colourful and tasty vegie soup with a tomato base and garlic, ginger, lemon juice plus protein helps my immunity. Continue to get out and exercise, whether it be a bushwalking, mulching the garden or a walk around the block. Dress appropriately for the weather and enjoy the fresh air, the sun and Vitamin D. This will keep your mood elevated and help your body stay healthy. Get plenty of sleep, Stay hydrated (so easy to not feel thirsty in colder months). Broth it up! And keep moving! Hot Devils Death drink. It contains all and every herb and spice you can find in your cupboard with an emphasis on warming herbs/spices. If you have a healthy collection of spices don’t get too excited. Boil the ginger in 1.5 cups of water till the water shows colour and smells spicy. If using fresh turmeric and lemongrass turn down the heat and add them and the rind of the lemon and orange. Keep at a simmer fro about 5 mins then add the seeds, dried and ground herbs after a further 5 minutes add the dried leaf herbs. The brew should be very strong and often bitter too. Have it as a generous shot mixed with the juice of half a lemon. Throw back if needed. Follow with a chaser of a large teaspoon of honey. Or if you can drink it at a lower temperature you can add the honey. Keep the remaining and have a shot with the lemon juice every 4 hours or so. If you do this at the hint of a sniffle or headache expect to feel better the following day. It is excellent followed by savouring a tea of dried sage by the fire. A devilishly hot way to employ alchemy against the horrid bugaloos in winter. Danielle O’Donoghue, the Yummi Yogi, is qualified in nutrition, iridology and herbal medicine. Formerly a cook and founding partner of Manly’s One Earth Organic Café, Danielle now teaches yoga to kids and adults, works as an holistic health and wellness coach and runs a wholefood consulting business. She holds monthly sessions at the Co-op where you can chat with her about your health and nutritional concerns (second Wednesday of the month 10 am–12 pm) and runs monthly food demos (third Wednesday of the month 10 am–12 pm). On 20 April, her food demo will focus on legumes and she is making delicious Sprouted lentil patties. 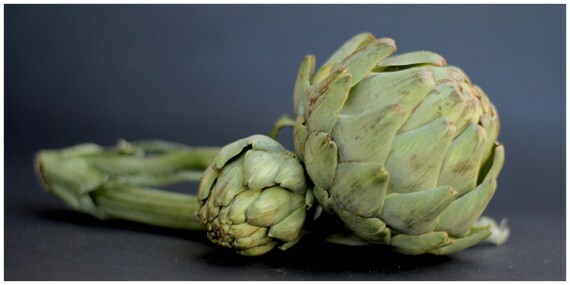 Lately we have received some beautiful local globe artichokes. We don’t get lots of them, so grab them when you can! Globe artichokes are large plants that grow pretty well in the Mountains, so give them a go in your garden. They make a lovely table decoration, being a flower, and we get many enquiries about how to prepare and eat them. Broad beans: to peel, to double peel, or not to peel? 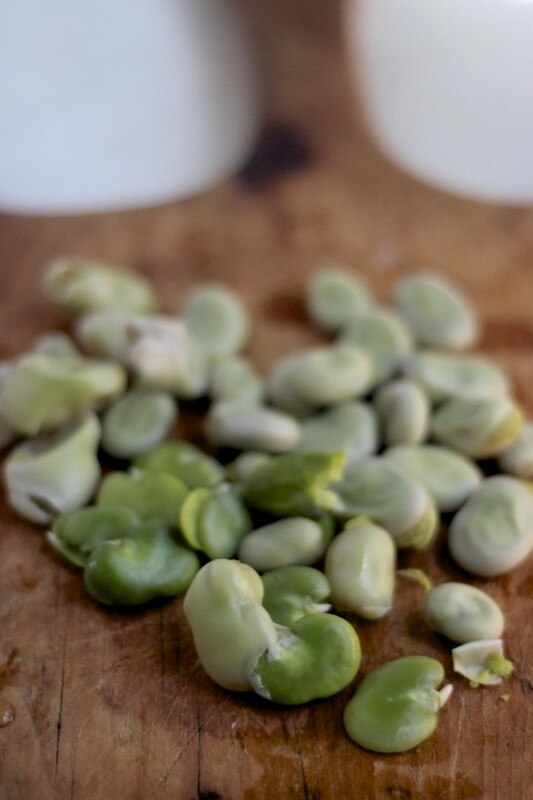 Very young broad beans can be cooked, pod and all, in a stir fry or a soup. The larger, older, pods need to be removed before cooking to reveal the beans inside. These beans still have a skin that can impart a strong flavour, and the extra time needed to double peel may be worth the effort. Basically, for some dishes the delicate double peel is light and beautiful; while for other dishes the ‘earthy’ taste that the single peel leaves may be desired.